Hobby Ideas - Beautiful Crafts, Pencil drawings, Paintings, Photos, Handmade flowers: A quick and awesome work on an earthenware pot..
A quick and awesome work on an earthenware pot..
2.Fabric paints for leaves,grapes ,background and border. 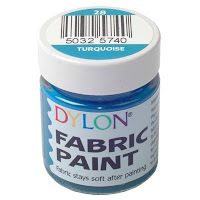 1.Paint the whole pot with yellow fabric paint. 2.Paint the neck and bottom of the pot with black fabric paint. 3.Using Pencil draw the grapes,leaves,branches on it. 4.Mix the adhesive as instructed in the pack. 5.Spread the portion of it in the shape of the leaves and others in the shape of branches and grapes. 6.Wait till the adhesive sets..about an hour. 7.Then paint the grapes,leaves and branches..
8.Place some flowers in ur new flower vase. 0 Response to "A quick and awesome work on an earthenware pot.."